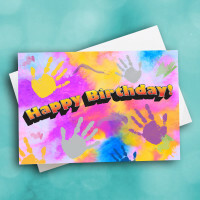 Wish a happy birthday with this burst of color and birthday cheer. 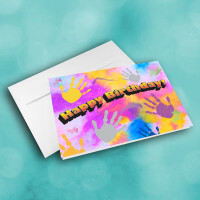 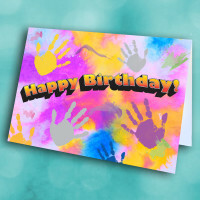 Have some variety in the cards you send with this unique birthday greeting card. 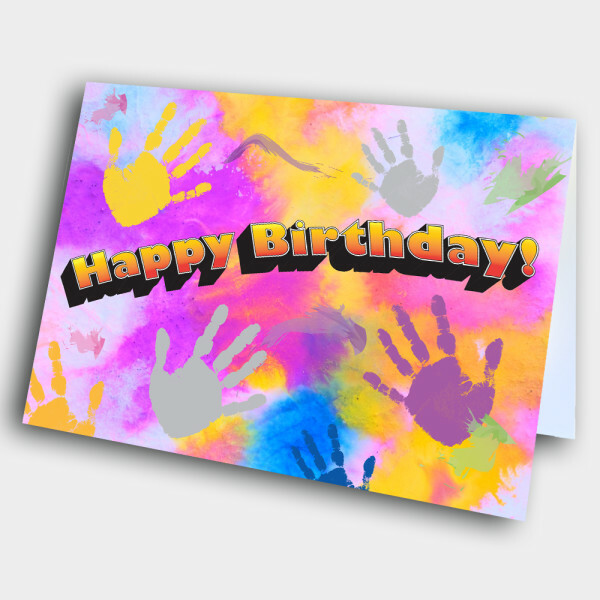 The front is a bright splash of colors, covered with individual handprints. 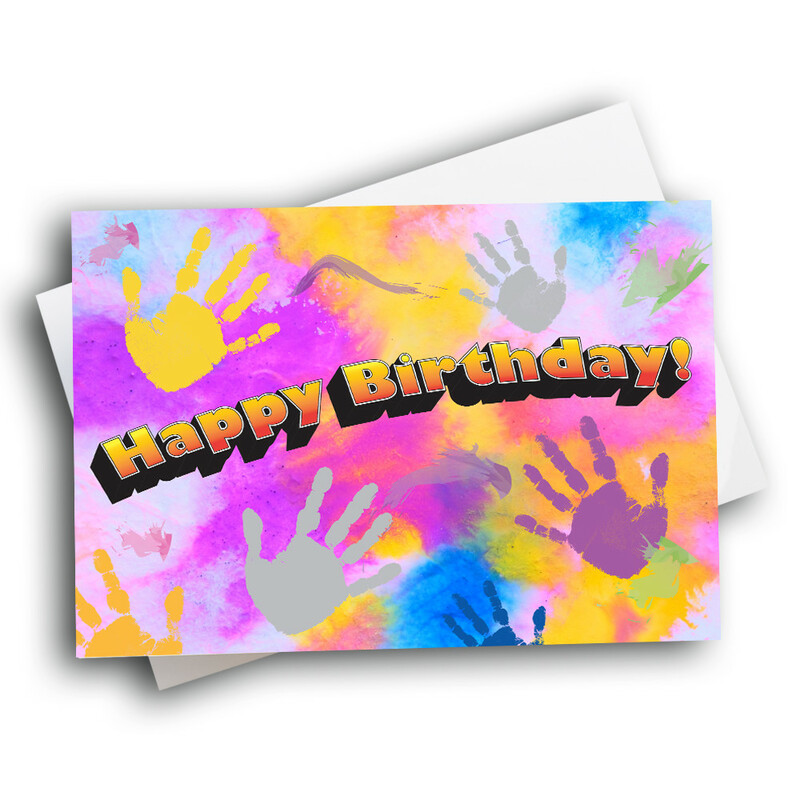 The blocky, 3-D birthday greeting jumps out from the center, giving the card an air of excitement. 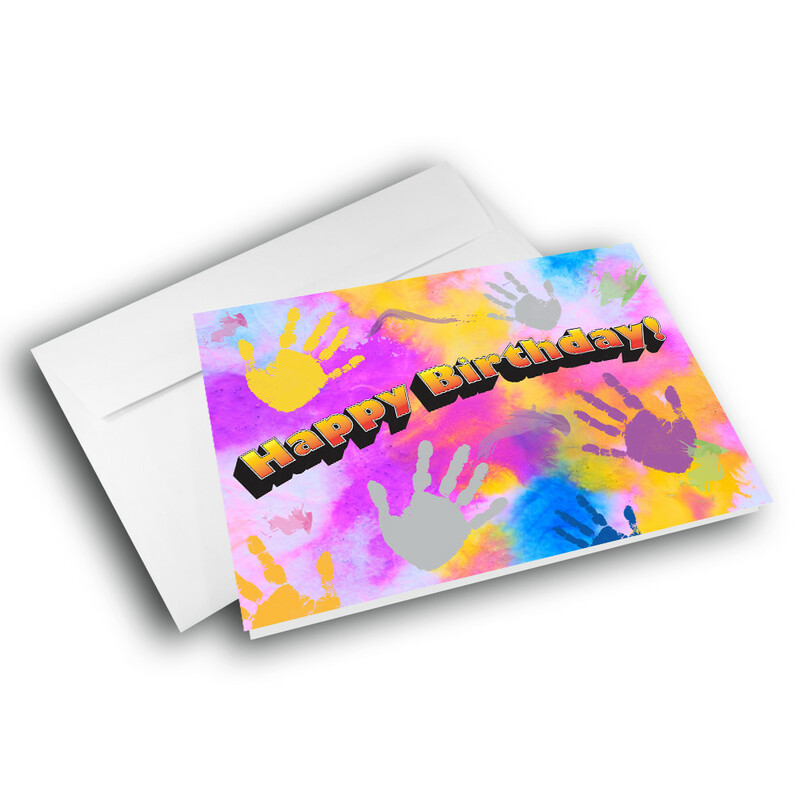 The message inside can be personalized to make this birthday card special and meaningful.